This rani pink saree is something I will thank my mom for, forever and later I am sure my daughter will too. If you have seen my sale shopping haul video, you would know that I am currently trapped in a maxi dress phase, I bought too many of them and now I am starting to find ways of wearing them. This white maxi dress is just fabulous for so many reasons – it is covered with the prettiest and most discreet sequin, it fits like a glove, it is cotton and it has pockets! So pretty and so thoughtful. Oh and the colour or the lack of it helps put me in a zen like mode instantly, something I am in desperate need of these days. These days..let me tell you a little more about “these days”…they are filled with confusion, questions, fear and a little bit of anger at life and what it throws at you, just when you think things are perfect and its time to take a leap of faith, life puts a roadblock in your way. Have you ever gone through something like this? When you feel a little powerless and helpless and start to question everything. It becomes especially difficult when it involves someone you love tremendously, makes me wish I could take on all of the issues and protect the ones I love.. I hope you enjoy the post, while I try and make sense of all that surrounds me..more on that later..
Fabulous accessories loving it you look cute in this, also i want it maxi dress, it will give different look to me. 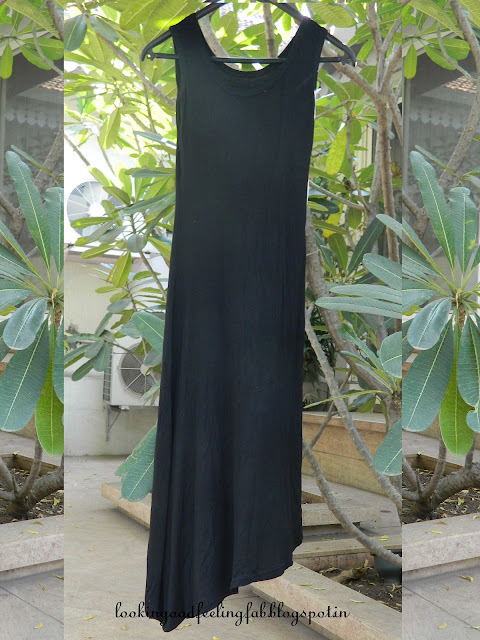 You look so awesome in this maxi dress. and these kadas are amazing too… maharani baug rocks!